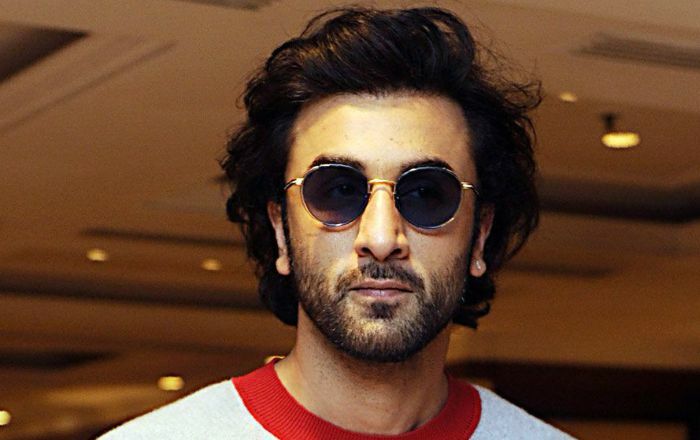 Bollywood actor Ranbir Kapoor is one of the most popular and highest paid actors who had his first starring role in Bhansali’s tragic romance Saawariya in 2007. He is known for his roles in films like Rockstar, Barfi! and Yeh Jawaani Hai Deewani. He has received a total of five Filmfare Awards throughput his acting career. Ranbir Kapoor was born on 28 September 1982, in Mumbai, Maharashtra, India. He’s currently 36 years old. Ranbir Kapoor attended Bombay Scottish School in Mahim. He received his pre-university education from the H.R. College of Commerce and Economics. He later moved to New York City where he studied film-making at the School of Visual Arts, and method acting at the Lee Strasberg Theatre and Film Institute. Ranbir has been romantically linked with high-profile actresses including Deepika Padukone, Nargis Fakhri, and Katrina Kaif. In 2007, Ranbir Kapoor had his first starring role in Sanjay Leela Bhansali’s film Saawariya, in which he played the role of Ranbir Raj. He earned a Filmfare Award for Best Male Debut for his role in the film. He didn’t appear in any TV series apart from talk shows. Known for his roles in films such as Saawariya (2007), Ajab Prem Ki Ghazab Kahani (2009), Anjaana Anjaani (2010), Rockstar (2011), Barfi! (2012), Tamasha (2015) and Jagga Jasoos (2017). His endorsement credits include PepsiCo, Docomo, Panasonic, John Players, Nissan, Hero Moto Corp, Lenovo , nd Philips Lighting. He was previously made the Indian brand Ambassador for Spanish Club FC Barcelona. Favorite Food – He’s is a foodie with the likes for all non-veg dishes. Ranbir Kapoor has an estimated net worth of $40 million US dollars. He charges Rs 20 -25 crore per film. He owns multiple real estate properties and has recently bough a extravaganza apartment in Mumbai for Rs 16 crore. Ranbir has an extensive fleet of exotic cars from brands ranging from Bentley, Mercedes, Range Rover and Audi. He recently bought a Ferrari and a white Audi A8. Ranbir is the first male from the Kapoor clan to graduate Class 10 and finish college. He is trained in various dance forms like Jazz and Ballet. He also took diction and horse riding classes. Ranbir took music lessons for two years and knows to play tabla. He also learnt guitar for the film Rockstar. He started his career as an assistant director and worked with director Sanjay Leela Bhansali for Black (2005). He used to take Rs 1500 as his pocket money from his mother until he moved out of the family house. Ranbir bought a luxury watch from his first salary. He owns a production company named Pciture Shuru Production. He owns a football franchise of the Indian Super League called Mumbai City FC. He is a chain smoker and in an interview, he confessed that he couldn’t able to quit smoking though he tried at times. He loves to play Candy Crush, in fact, he is a huge fan of the mobile game. Ranbir Kapoor suffers from Nasal Deviated Septum, which makes him eat and talk too fast. While driving, he used to add up the digits on the number plate of every vehicle that he sees on the road. Al Pacino is his favorite actor and inspiration, and that’s why he enrolled at the Lee Strasberg Institute and School of Visual Arts to learn acting because Al Pacino studied there. Ranbir Kapoor made around 300 short films while pursuing his acting course in New York City. Ranbir has co-hosted the 54th, 56th and 57th edition of Filmfare Awards with Imran Khan and Shahrukh Khan. He has been featured in Forbes India’s Celebrity 100 list several times, that too, among the top 20 places. In 2010, he was voted the “Sexiest Asian Man” in a poll conducted by the magazine Eastern Eye.